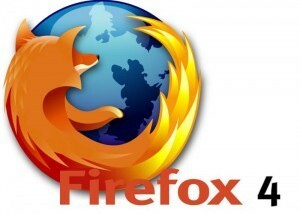 The fresh released Internet Explorer 9 by Microsoft has now a strong new competitor as Mozilla launches Firefox 4. The web browser offers users a new perspective to the Internet. With highly improved features and a better technological part, Firefox promises to give you the feeling of looking into the future, when surfing the internet. The security features are also a plus compared to old Firefox, but the most interesting part at the new browser is the possibility of customization. You can personalize the browser exactly the way you want, like you were the creator himself. Same as its competitors Internet Explorer 9 and Google Chrome 10+ , Firefox 4 added as features the GPU-accelerated webpage drawing and HTML5 support. Among the differences between Firefox 3,6 and Firefox 4, you can count a such called “Awesome bar”. That actually means the consolidation of the search bar, the address bar and the navigation buttons into a single line. Users that already installed the browser commented on specialized forums and the most reviews are positive. “After 5 minutes of use, my opinion? It hasn’t crashed. So yes it’s the best browser on the market” said someone who tested it. With a review like this Microsoft and Google have real reasons to worry. If you are also curious to try it, Mozilla’s Firefox 4 is now available for download on their official website to computers powered by the following operating systems: Windows, Mac OS X or Linux. Users have the option to download in more than 80 languages. Also you can find there a more detailed description about its features and improvements.